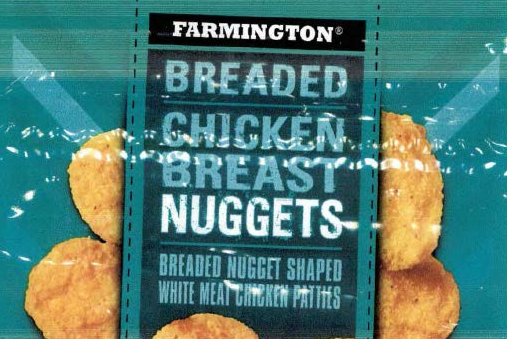 K Food, Inc of Oklahoma City, Okla., is recalling over 900,000 pounds of breaded chicken products because of possible contamination from metals. The ready-to-eat packages were produced between December 19, 2016 and March 7, 2017 and sold to retailers nationwide. Consumers are urged not to consume the products and can either return the food items to the place of purchase or throw away any packages. If you have questions about the recall, contact the company at 479-312-2409. Below is the press release posted on the USDA website. WASHINGTON, March 23, 2017 – OK Food, Inc., an Oklahoma City, Okla. establishment, is recalling approximately 933,272 pounds of breaded chicken products that may be contaminated with extraneous materials, specifically metal, the U.S. Department of Agriculture’s Food Safety and Inspection Service (FSIS) announced today. The products subject to recall bear establishment number “P-7092” inside the USDA mark of inspection. These items were shipped to retail locations and institutions nationwide. The problem was discovered on March 21, 2017 after OK Foods Inc. received five consumer complaints stating that metal objects were found in the ready-to-eat chicken products and by FSIS inspection personnel during verification activities. After an internal investigation, the firm identified the affected product and determined that the objects in all the complaints came from metal conveyor belting. Consumers with questions about the recall can contact Abby Brown at (479) 312-2409. Media with questions about the recall can contact Jordan Johnson at (501) 944-7891. Consumers with food safety questions can “Ask Karen,” the FSIS virtual representative available 24 hours a day at AskKaren.gov or via smartphone at m.askkaren.gov. The toll-free USDA Meat and Poultry Hotline 1-888-MPHotline (1-888-674-6854) is available in English and Spanish and can be reached from 10 a.m. to 4 p.m. (Eastern Time) Monday through Friday. Recorded food safety messages are available 24 hours a day. The online Electronic Consumer Complaint Monitoring System can be accessed 24 hours a day at: http://www.fsis.usda.gov/reportproblem.